In this day and age, with the advancements of technology, it seems really easy for just about anyone to pick up a dSLR camera and create a decent photograph. The art of photography is more accessible to the masses than it has ever been, but there is still a distinct separation between the professional photographer and the photography hobbyist, in both the quality of the images as well as in the overall experience. When it come to important milestones in your life, such as your high school senior portraits, your wedding day, new borns and family portraits it’s best to leave it to the pros. Not only do we, professional photographers know our equipment inside and out, we also know the importance of posing, wardrobe, proper lighting and getting a client’s personality to shine during the session. With countless hours of training and experience, a professional photographer creates timeless images that you will be proud of today, and 30 years from now. You will look your best in each image. Your images will be professionally retouched (no strange skin tones, overly whitened eyes or teeth) using professional grade darkroom software. 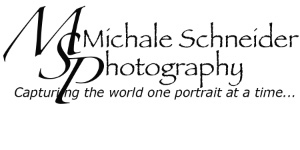 Michale Schneider Photography thrives on client communication and wants you to be part of the planning process. Your images will be anything but ordinary or average…just like you.